Live Rock can NOT be shipped with Flat Rate shipping. When checking out please choose FedEx Ground or Home delivery. Fiji Live Rock is a more basic live rock and works great for under a more premium live rock or if your wanting to watch it grow coraline. Generally Fiji live rock is crated in on large cargo ships so the quality and coloration of it is lost. 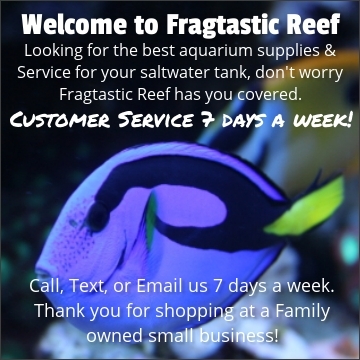 FIJI Live Rock is a good cheaper route to get a tank established, however it will not be as porous as Manado Premium or some other more higher quality rock we carry. ALL our live rock is cured at our retail store so the die off and everything when you receive it will be very minimal. For Live Rock there is different qualties and shapes, the more porous the live rock or base rock is the better the filtration it will handle, meaning you will need less lbs of porous rock vs more dense live rock. *Our Live Rock is sold by the pound. Enter the QTY of Lbs you wish to purchase.